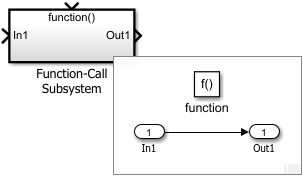 The Function-Call Subsystem block is a Subsystem block preconfigured as a starting point for creating a subsystem that executes when a function-call input port receives a function-call event. 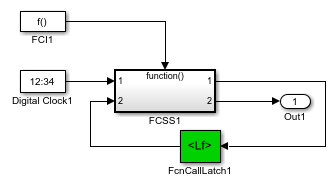 A Stateflow® chart, Function-Call Generator block, or an S-function block can provide function-call events. 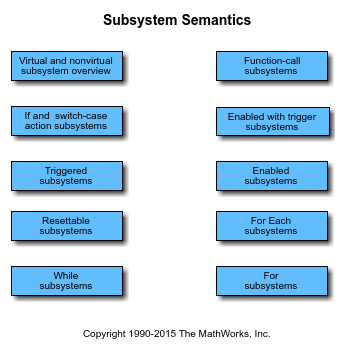 See Using Function-Call Subsystems. 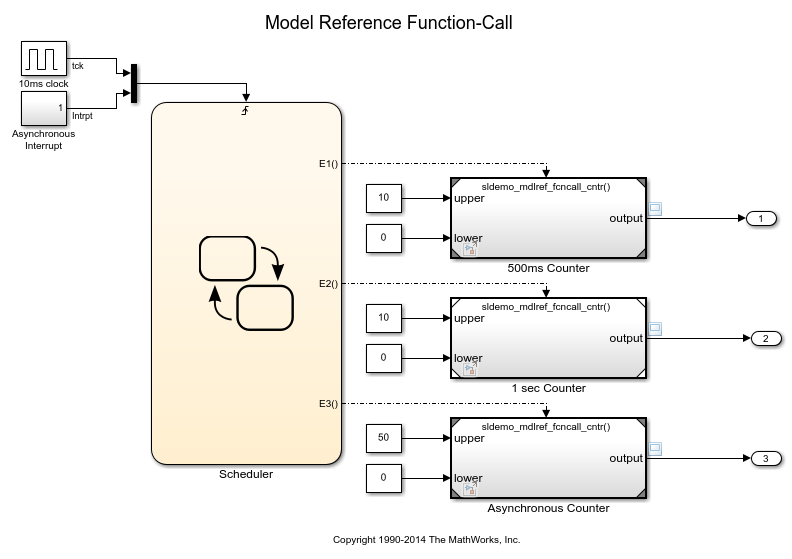 Schedule the execution order of model components. 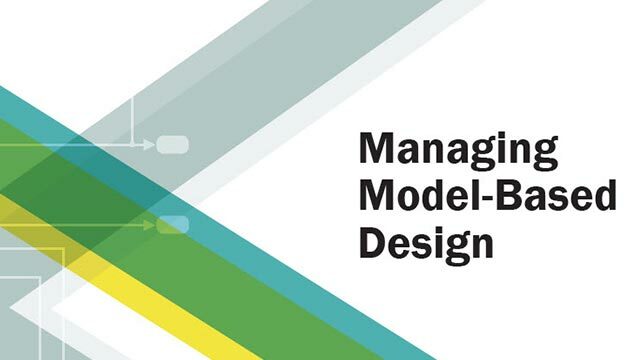 Control the rate of model component execution. Placing a Trigger block in a subsystem block adds an external input port to the block. Selecting function-call from the Trigger type list, changes the block to a Function-Call port block that accepts function-call events. 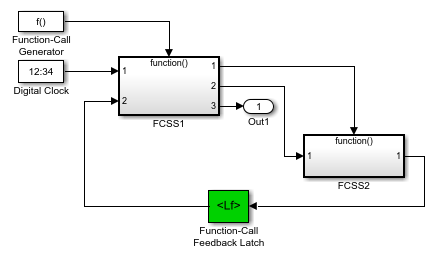 In this model, the Function-Call Feedback Latch block is on the feedback signal between the child and the parent. 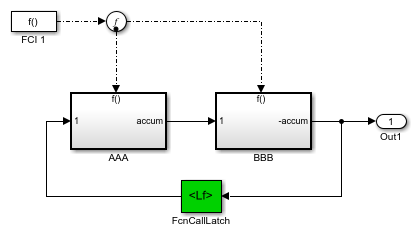 In this example, a single function-call subsystem output serves as its own input. 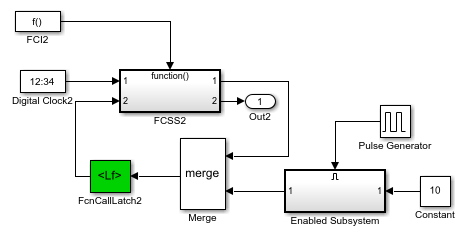 In this model a merged signal serves as the input to a function-call subsystem.